Fundisile Mketeni was in a helicopter inspecting the area when a call came to join in the hunt and apprehension of three poachers. The chief executive officer (CEO) of South African National Parks (SANParks), Fundisile Mketeni helped rangers chase and apprehend three poachers, SANParks said today. 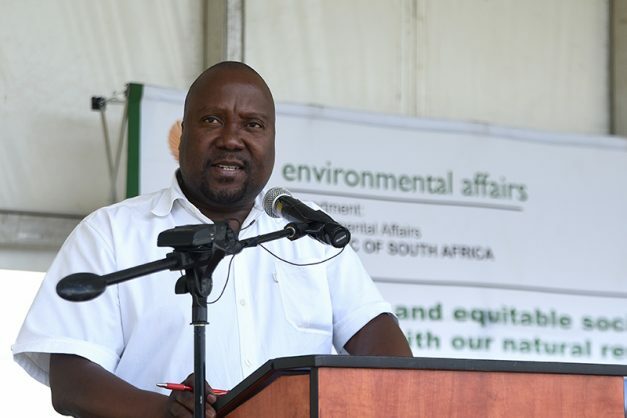 The incident occurred during Mketeni’s official visit to the Kruger where he found himself having to help rangers in chasing poachers on Wednesday, in the Tshokwane Section of the Kruger National Park (KNP). The suspects were arrested with the help of the K9, a fixed-wing airplane and the helicopter Mketeni was flying in. “The CEO was en route to observe the western boundary between the KNP and communities when the helicopter he was flying in, was requested to assist Rangers on the ground who were pursuing a group of suspected poachers. The suspects were found in possession of a heavy calibre hunting rifle, ammunition, poaching equipment and a fresh pair of rhino horns,” SANParks said in a statement. Mketeni said it was sad to see the carcass of a rhino that had been roaming the wild areas of the KNP hours earlier but was killed because of greed and criminality. “It was a privilege to work alongside the dedicated team of Rangers and Air Wing colleagues and participated in the apprehension of these suspects who have no regard for our laws and act with impunity,” Mketeni said. The suspects are expected to appear in court soon to face charges related to rhino poaching.